If you are experiencing knee pain, you understand how detrimental this type of pain can be to your quality of life. Nearly everything involves your knees; from walking to sitting, your knee pain can keep you sidelined if you don’t treat the cause of your symptoms. The first step to treating your knee pain is to determine what is causing your pain in the first place. Our physical therapists at Arrow Physical Therapy and Rehabilitation in New Jersey have helped many patients with knee pain find relief. We have seen many patients over the years, and have noticed that three of the most common causes for knee pain are not necessarily related to sports injuries as one might think. The three most common causes of knee pain can be related to everyday activities. Take a moment to read through these three common causes of knee pain and what you can do to treat it. 1. Knee pain can be caused by a meniscal tear. A meniscal tear describes a small tear or rip in the cartilage around the knee. When this happens, the torn cartilage can become abrasive and irritate the joint, causing it to swell and become painful. This type of tear in the cartilage can come from a sports injury, or simply from twisting your knee wrong when walking or bending. It can also come from years of wear and tear from squatting or lifting heavy weights. In some less common causes, obesity can lead to a tear in the meniscal tissue when bending or twisting around the knee area. 2. Osteoarthritis can cause knee pain to develop as you age. Similar to a meniscal tear, osteoarthritis describes damage to the cartilage lining the knee joint. Often caused by a decrease in fluids as you age, the cartilage in the knee begins to weaken over time, which causes the joint of the knee to swell and ache. While this cause of knee pain can be hastened by wearing unsupportive shoes, chronic weight gain and inactivity, the cause of mostly due to the natural aging process. 3. Bursitis is another cause of knee pain that you should consider. What can you do to treat your knee pain? If you live in the Edison, Union or Woodbridge areas of New Jersey, you can contact our team of physical therapists at Arrow Physical Therapy and Rehabilitation to begin your journey toward knee pain relief. 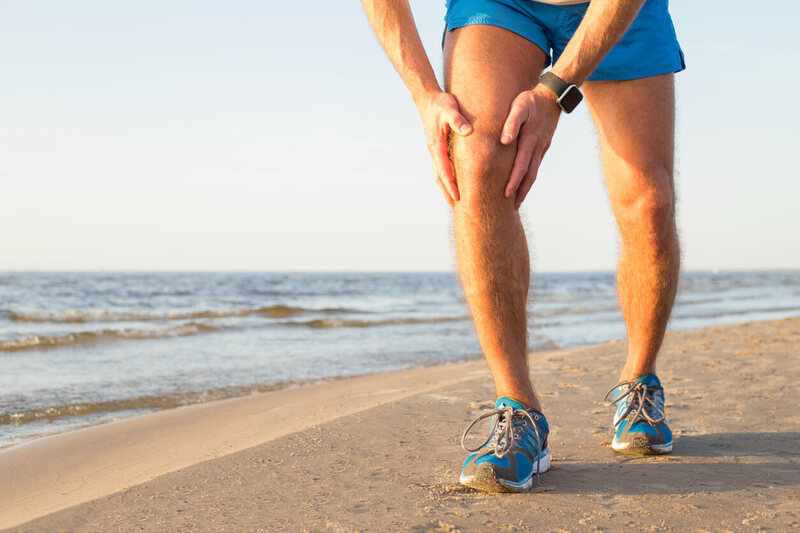 We have worked with many patients who suffered from knee pain, and we specialize in creating personalized treatment plans to help you achieve pain relief without altering your normal lifestyle. Schedule an appointment online or contact us today to take the next step toward knee pain relief.